The weather is changing. Different countries are experiencing changing climates at various times of the year. Over the last few months, in the UK, many counties are being flooded and people are finding their houses underwater. The latest news programs say the Brits should take a leaf out of the Netherland's book and start looking at building Amphibious Houses, which can float on water, the basis of which is Archimedes Principle. Now, those of you who know me well, will know that my opinion, buoyancy in Scuba Diving is the most basic but important skill a diver can master, regardless of you certification level. These news reports got me to thinking about Archimedes principle itself and how, understanding the concept of why things float or sink should be the very first stepping stone on the path to perfecting this skill. So, what is Archimedes Principle? 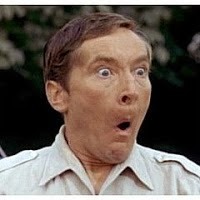 "An object wholly or partially immersed in liquid is buoyed up by a force equal to the weight of liquid it displaces!" We have all heard of the downward force of Gravity (if nothing else, it was a hit movie this year with Sandra Bullock and George Clooney). If you drop something from your hand, gravity will pull it down to the earth. When you have an object in a liquid, things change slightly as there is also an upward force acting on the object, which is affected by the amount of the liquid displaced by the object in it. So, if you place a penny coin into a bowl of water, the coin will sink because its weight is greater than the weight of the liquid that it displaces. However, if you were able to reshape the coin (into a bowl shape for example) you may be able to alter the amount of water displaced and cause the coin to float. 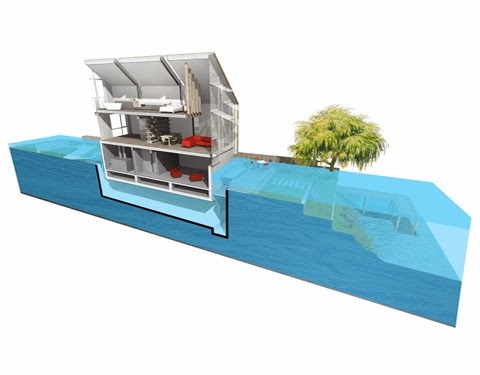 On this basis, our amphibious houses will be designed (through volume and surface area and many other things) to allow them to displace their own weight in water before they sit too low in it, so they will float and flooding is prevented, as demonstrated in the image to the left. We are Divers... How does this affect us? Scuba Divers aim to be neutrally buoyant in the water (reasons for which, we will look at in a future blog). We do not want to float at the surface (that is glorified Snorkelling) or be bouncing along the bottom, but gliding effortlessly mid-water. The Equipment that we use for Diving, although it can feel quite heavy, actually makes us positively buoyant in the water, so generally, we float at the surface. To remedy this, we add lead weights to the kit to allow us to sink. The trick, is to only add enough weight to keep us neutrally buoyant. So, let's say we get into the water with all the diving equipment and we weigh 100kgs. This means that we need to displace 100kgs of water. At this point, we will be neutrally buoyant. If we have too little lead weights, we will displace too much water for our weight and we float. Add too much weight to our kit and we do not displace enough water and we sink, so we are bouncing along the bottom or have to overuse our Buoyancy control devices to try to become neutral. Read more about weighting for scuba diving in weighting for scuba diving in this article. As a note, you will find that you float a bit more at the end of a dive than at the start. This is because the cylinder of air on your back will now be lighter because you have used some or most of the air in it. This means you are lighter, you displace more water for your weight and can start to float. So, when you are setting your weight, you do want to account for this change at the end of a dive. Your instructor should be able to help you do this correctly! So, the very basics of achieving great buoyancy comes from understanding Archimedes principle and applying it to your diving. 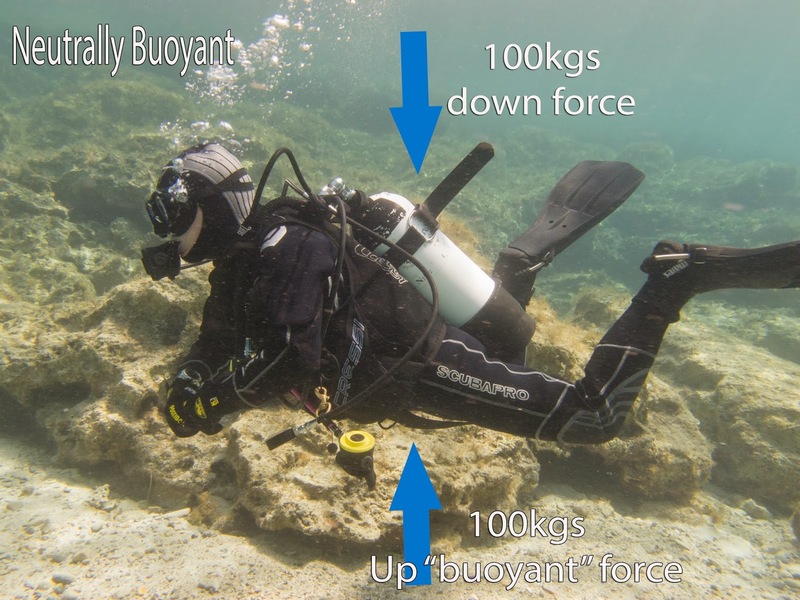 There are a few other aspects that affect buoyancy and we will follow on with these over the next few weeks so stay tuned. 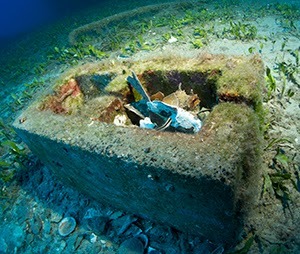 Wreck Diving in Cyprus is always a great opportunity for underwater photography and here are some of our images of the local wrecks here in Cyprus; the Alexandria, the Liberty, the Nemesis III, HMS Cricket and of course, the Zenobia. Quite often people are put off learning to dive because they think they have passed the age where they are fit enough to take part and young enough to "learn new tricks". You can in fact learn to scuba dive at any age. Children as young as 8 can try scuba and we have a member of our diving club in the UK that continued to scuba dive into his 80s. 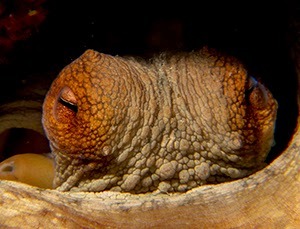 A recent article online has told us of the oldest diver who only started diving at the age of 53 and is now in his 90s. Over the years, scuba diving has very much been marketed at men, as they were the adventurous ones who would partake but things are changing and although, scuba is still very male dominated, there are more and more female divers coming on the scene. 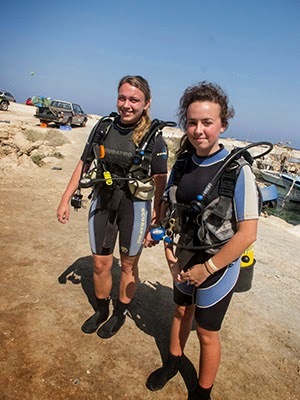 To the point now, where dive equipment manufacturers have started producing dive kit specifically designed and marketed towards the female diver. Female instructors are becoming more and more commonplace too. Like anything you do, diving can be expensive or it can be cheap. It all depends on how far you want to take your new hobby and how much you want to invest in it. Learning to dive costs around 400 euros (including all manuals and certification fees) which is quite cheap when you consider what you get. A diving certification can take you anywhere in the world and you will see sights that most people in the world will never get to see. 70% of our planet is water... do you really want to be confined to just 30% of it!!! Diving equipment varies in price from absurdly cheap to out and out wallet squeezing but if you don't want to invest in your own kit because you only dive on holiday, you can always rent kit when you dive. Second hand equipment can often be found on auction sites and/or social media pages at very reasonable prices too but be aware that, while bits such as wetsuits might be ok, always get life preserving equipment checked out by a diving technician before using it to make sure they are safe to use. Diving can be cheap... life is not! you are away from the sea. Anywhere you can find a body of water, you can go scuba diving! You can learn to dive with just 2 spare days. This will allow you to achieve the PADI Scuba Diver course. It is half of the open water training (1st full certification) and you will only be certified to dive with another qualified PADI professional but it is a step on the qualification ladder and can be upgraded at any time. 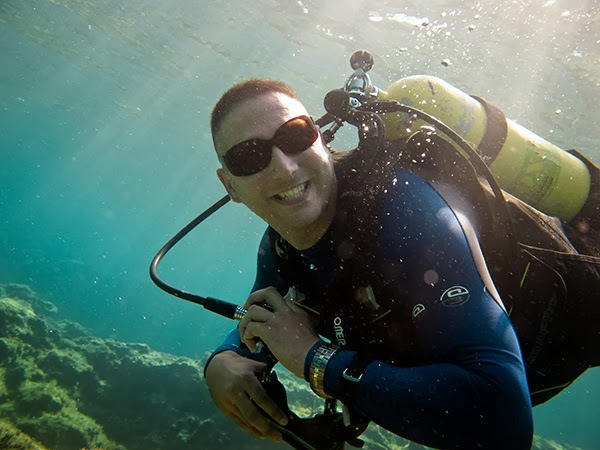 During this course you are shown how to control your buoyancy and breathing and other basic skills needed to go scuba diving, and these will be built upon as you progress in your diving career. Hopefully then, I have dispelled any reasons you have for not learning to Scuba Dive. It really is an inclusive sport where different kinds of people from all different backgrounds can get together and have a great time. It doesn't matter who you are, where you live or what you do... at heart, we are all just Scuba Divers! 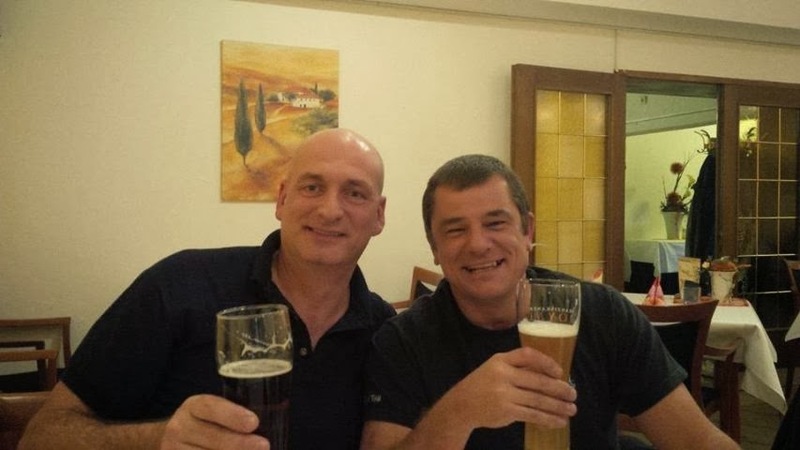 Our PADI divemaster and good friend, JOhn Ruff acquired a new dry suit this year to allow him to keep scuba diving in CYprus through the winter months. The water temperature only drops to a minimum of 16 degrees but it is cool enough for us wimps that dive here year round to feel the chill. This is John's Orientation Drysuit Dive with Instructor Peter Crane from scuba tech diving centre, in Green Bay, Protaras. I don't know about you, but I think he's looking pretty good already! When beginning a Blog about sea creatures, our first port of call is to do a little research and that, inevitably, means a Google search. Imagine my dismay when the top of the rankings for Octopus is the nutritional information of a cooked Octopus. Now, being based in Cyprus where Octopus is a delicacy (we are often asked in restaurants to "bring a couple up for the grill") I suppose I shouldn't really be surprised but as a Scuba Diver, I prefer my Octopi (yes, Octopi but you can also use octopuses or octopedes as the plural form) alive and inking! So, what do we know about the Octopus? The octopus is a cephalopod of the order Octopodo. This literally means 8 feet and the Octopus has... wait for it...8 legs!!! 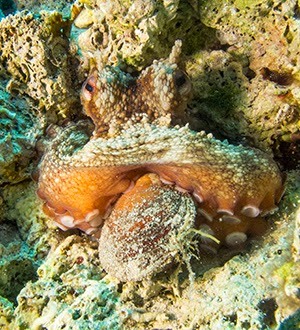 There are over 300 species of Octopus but the most common, unsurprisingly, is the Common Octopus, which can be found anywhere from Coral Reefs to sandy bottoms, shipwrecks and... breeze blocks? Although they have 3 hearts, the life span of an Octopus is pretty short and reproduction is a death sentence. Males die within months of mating while the females tend to neglect eating during the month it takes for the eggs to hatch and die of starvation. Octopi have a soft body with no skeleton, which allows them to squeeze into tight spaces. The only hard part of the body is the short crushing beak, which is used for eating crabs, molluscs and worms. Sometimes they crush their prey's shell while other times they drill down into the shell and inject the prey with a paralysing saliva before excavating the soft body. It is important to note that ALL OCTOPUS ARE VENEMOUS!!! Even that little cute one below! The only one that is known to be poisonous to humans is the Blue Ringed Octopus. A predator it is but the Octopus also falls prey to other creatures in the sea. They have a number of defence mechanisms they employ to protect themselves. Primary defence is their ability to camouflage or hide from their Predators. Some Octopi can even detach their arms, like a lizard does its tail, to distract the predator while the Octopus makes its escape. This is species specific and not all octopus can do it. Remember Paul the Psychic Octopus? Maybe not that clever but scientific experiments have shown that Octopus have shown the capability to store long and short term memories and differentiate between shapes and patterns while enjoying playtime and using tools. In fact, Octopi are so intelligent that the common octopus, as an amendment in 1991, was listed as protected under the Animal Scientific Procedures Act of 1986, which regulated the use of animals for research in the UK. The biggest Octopus known is the Giant Pacific Octopus, which can weigh up to 15kg with the biggest ever recorded weighing in at a whopping 75kg with an arm span of 4m. Much as I love to see Octopus, that isn't one I'd like to meet on a night dive. So the next time you are scuba diving and spot that Octopus racing across the seabed, just remember to respect it because he has a memory like JAWS! and Daddy Occie might be right around the corner! Scuba Diving in Cyprus is always fun but sometimes, it is nice to be able to push the boundaries a little and do something a bit different. A try dive at Scuba Tech, uses the Megalodon CCR and begins at the dive centre where instructor Peter Crane will go over the basics of rebreather diving; what a rebreather is, how it works, benefits etc. Biological Stress is only a relatively recent discovery. Although the symptoms have been around much longer, it was only really documented in the 1950s by Hungarian endocrinologist, Hans Selye who determined that "Stress, in addition to being itself, is also the cause of itself and the result of itself". A big Vicious circle. So what is the cure? ... SCUBA DIVING!! When you are feeling stressed and under pressure, what better way to deal with it than to escape to a world where you are weightless and free. This feeling, any scuba diver will tell you, is soothing and calming. You might go in the water with plenty on your mind but the colours and the fish will soon distract and quiet any racing thoughts. We scuba divers are a very sociable crowd. We don't dive on our own because there are inherent dangers in doing that. What better way to beat stress than getting together with a group of like minded people and having a laugh! Laughter releases endorphins that will improve your mood and decrease stress hormones like Cortisol and Adrenaline and can actually trick your body into making you happy. So scuba diving can help relieve stress through friends and laughter. Another expert recommended stress buster is to exercise. 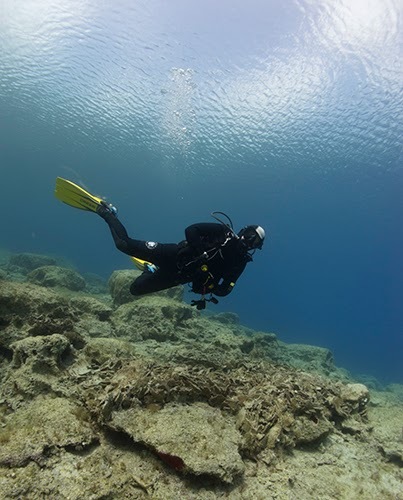 Although scuba diving alone isn't enough to keep you fit, it is sufficient to get the blood moving around your body and give immediate relief to stress. It is all down to those lovely endorphins again. Exercise helps your body to release them and they make you feel better. So scuba divers bust stress through exercise! breathing to centre the body is an ancient remedy practised world over. As Scuba Divers, we are trained to take long, deep breaths while we dive. This is so we can breathe past the dead air spaces from the equipment we use and get the fresh oxygenated air to our lungs. By doing this, not only can we conserve air underwater but we are providing more, well needed oxygen to our blood and helping to calm our minds and centre our bodies. Stress elimination by Breathing! Scuba Diving will help you to sleep because, by the end of a day scuba diving, you will be so exhausted you will fall asleep as soon as your head hits the pillow. I am, of course, speaking from experience. ...and I'll drink to that!